The long awaited film documentary is now available to view online & on DVD. 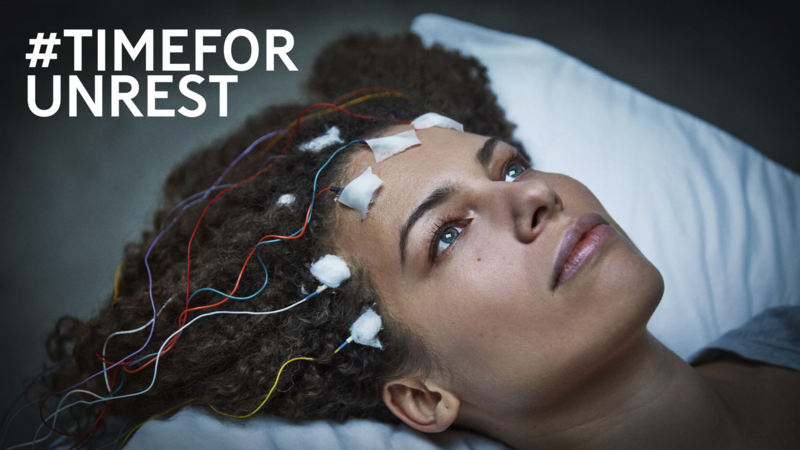 Jennifer Brea’s Sundance award-winning documentary, Unrest, is a personal journey from patient to advocate to storyteller. Jennifer is twenty-eight years-old, working on her PhD at Harvard, and months away from marrying the love of her life when a mysterious fever leaves her bedridden. When doctors tell her it’s “all in her head,” she picks up her camera as an act of defiance and brings us into a hidden world of millions that medicine abandoned. In this story of love and loss, newlyweds Jennifer and Omar search for answers as they face unexpected obstacles with great heart. Often confined by her illness to the private space of her bed, Jennifer connects with others around the globe. Like a modern-day Odysseus, she travels by Skype into a forgotten community, crafting intimate portraits of four other families suffering similarly. Jennifer Brea’s wonderfully honest and humane portrayal asks us to rethink the stigma around an illness that affects millions. Unrest is a vulnerable and eloquent personal documentary that is sure to hit closer to home than many could imagine. You can purchase the BluRayDVD version of the film from the Unrest website. If you prefer to use online streaming services, or want to watch Unrest on a portable device, you can purchase the film through the online app stores below. Shropshire ME Group is not responsible for the distribution or pricing of the film through the services above, nor can we control its availability. If you have any concerns regarding the downloading of the film, please contact the store you are purchasing from. Shropshire ME Group is not able to offer technical support in relation to viewing the film from these services. IMPORTANT NOTICE: Telford Young Persons Support Group members: We are sorry to inform you that next week's meeting planned for the 11th has been cancelled. We will be in contact with you to provide details of any alternative arrangements. Sorry for any inconvenience. If you provide care and support for someone with ME, then our carers support group may be for you. Join us this Tuesday, 7pm, Education Centre at Telford Hospital. It's Free to attend, parking fees apply. Meet others carers, find support and make new friends. Please fill in this survey about your experience of the triggers of ME/CFS, in order to help biomedical research into the condition.